The White House has said the first meeting ever between sitting US and North Korean leaders could take place in the coming weeks. Washington: President Donald Trump on Friday said the date and location have been set for a meeting with North Korean leader Kim Jong Un, building suspense for the unprecedented talks, as South Korea said it would oppose a withdrawal of US troops from the area. 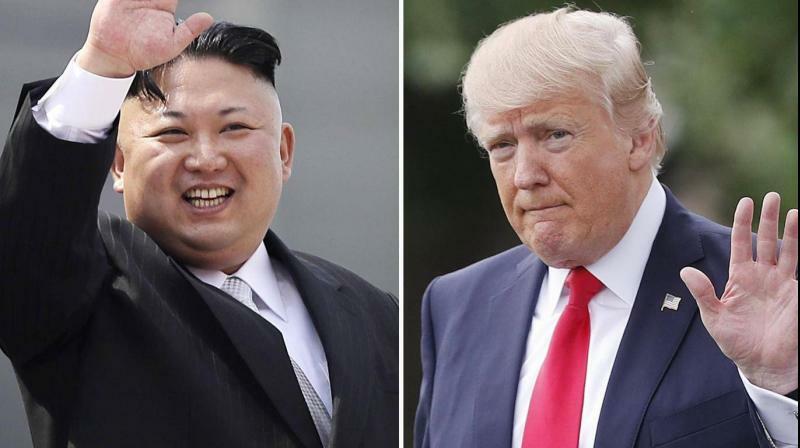 The White House has said the first meeting ever between sitting US and North Korean leaders could take place in the coming weeks. Trump is to push North Korea to give up its nuclear weapons. The Moon visit was announced after Trump's national security adviser, John Bolton, met with his South Korean counterpart, Chung Eui-yong, at the White House on Friday. Chung told reporters afterward that it was "unacceptable that the issue of the US forces Korea keeps being raised." The New York Times said Trump had asked the Pentagon for troop withdrawal options, although Trump said it was not true and Bolton called the report "utter nonsense." "Now, I have to tell you, at some point into the future, I would like to save the money," Trump told reporters. "But troops are not on the table." The White House said in a statement late on Friday that Bolton and Chung said there are no plans to change the US-South Korea bilateral defence posture. Trump told the National Rifle Association's annual convention in Dallas on Friday that he had toned down his rhetoric in anticipation of the talks after labelling Kim "Little Rocket Man" last year and threatening him with "fire and fury." "I won't use the rhetoric now," he said. "Now I'm trying to calm it down a little bit." White House spokeswoman Sarah Sanders said on Thursday that if North Korea were to free the three Americans, "We certainly would see this as a sign of good will" ahead of the Trump-Kim summit. "We're having very substantive talks with North Korea and a lot of things have already happened with respect to the (US) hostages. I think you're going to see very good things," Trump said.